A nice size Bull Moose strolls across the green summer grasses of Big Meadows on the west side of Rocky Mountain National Park. 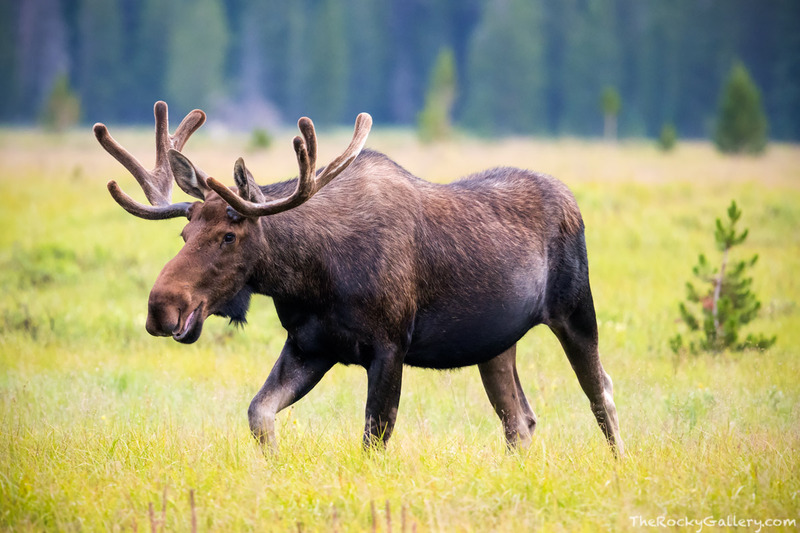 Visitors to any of the meadow areas of Rocky Mountain National Park during the summer months are likely to see both Moose and Elk grazing on succulent grasses after enduring a long winter. Photo © copyright by Thomas Mangan.